Eco Cleaning Services Are Different – Come Experience That Difference For Yourself Today! Businesses often relocate from one location to another as and when business strategy requires. And when that happens, building owners need the vacated premises to look spick and span. Alternately, you may want the vacated office to be cleaned prior to renovation, before it’s sub-let to a new tenant. Or, you may simply be switching offices and want your new office premises to undergo a complete cleaning before you start moving in your furniture and equipment to your new address! 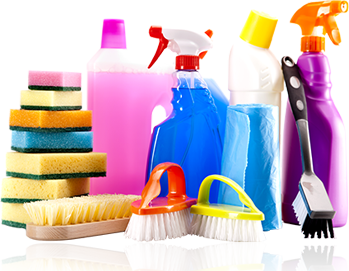 Eco Cleaning Services, Inc. offers a comprehensive Move-In, Move-Out Cleaning service. We are your single-stop service provider when old tenants vacate, and new tenants get ready to move in. Whether you are a business owner, or a property owner – we’ll customize a service plan just for you. Do you plan to sell your property? Is your tenancy agreement nearing its end? If so, our Move-In, Move-Out Cleaning service is just what you need! We understand the need to vacate your old premises in good order, and we also know how invaluable a clean property is to prospective buyers. Regardless of whether you are moving out or into a property – we take care of all your cleaning needs. Our Move-In, Move-Out Cleaning services are also ideal for homeowners who are selling one home, and moving into another. We’ll take care of cleaning the old and the new locations for you. Eco Cleaning Services, Inc’s, Move-In, Move-Out Cleaning services are great for home owners, commercial operations, construction project managers dealing with post construction cleaning needs, or any other site cleanup requirement. Call (416) 871-0905 and Speak With an Eco Cleaning Services, Inc Representative Today! From interior office and building maintenance, to external building cleaning and maintenance, Eco Cleaning Services, Inc. offers a full suite of cleaning services. We’ll not only help improve the sight and environment of your properties; but we’ll also help improve your bottom line with our extremely cost-effective, eco-friendly services. We strive to offer customized packages that are tailored to your individual needs. Call us at (416) 871-0905, or use our convenient online form to request a personalized Move In, Move Our Cleaning Quote. By providing us just a few details about your site, and your cleaning needs, we will schedule a detailed walk thru of the premises and discuss all your needs and concerns. We’ll then provide you a personalized quote that meets all your expectations. Our consultations are confidential, come with no obligation, and are absolutely FREE!